Here at Classy, we work to be at the forefront of nonprofit knowledge and provide valuable resources for the social impact space. We know it can be difficult, however, for any busy professional to stay on top of best practices, so to keep you from missing out on valuable content we’ve rounded up a few fan favorites all in one place. 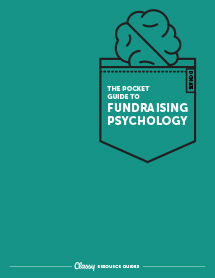 Below are our most popular guides of all time for fundraisers, marketers, and leaders. Bookmark this page so you can refer back to these resources whenever you need. 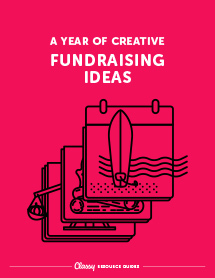 In this guide, we dissect 10 successful fundraising campaigns and the strategies that blew their goals out of the water. From new ideas for email tracks to motivating fundraisers, you’re bound to find a new tactic that will bolster your own results. Updated with the latest research, this guide explores the strategies that make your donors tick. Learn how to get inside their heads and encourage them to give. 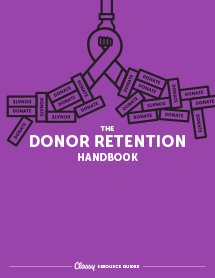 It costs about five times more to acquire a new donor than to retain one. In this guide, you’ll discover money-saving strategies that will help you deliver what your supporters want, when they want—and keep them coming back. First impressions can make or break any budding relationship. 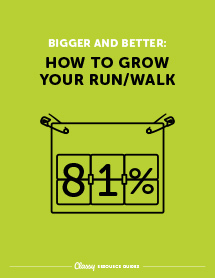 Learn how to put your best foot forward and tailor your approach for first-time donors, third-party donors, and event attendees. The average recurring donor donates 42 percent more than the average one-time donor. Grow a community of avid supporters who provide a reliable stream of revenue year-round. 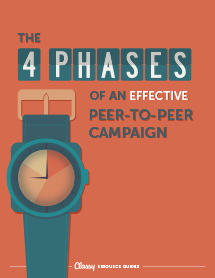 A well-structured peer-to-peer campaign will help you anticipate any challenges and rise above them with ease. Learn how to prepare for each stage of your campaign and keep supporters engaged, all the way through. 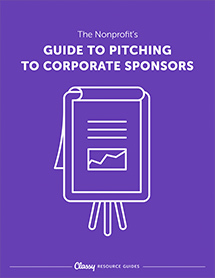 This guide will help you identify potential partners, nail your pitch, and secure a lasting relationship. A purposeful fundraising strategy keeps your team motivated, holds you accountable, and unifies your team around larger goals. Get tips and tools to craft your year-long game plan, as well as a diagram to help you get it all on one, comprehensive page. Learn how to create a strategy that grows your event and guarantees a remarkable attendee experience. From pub crawls to surf competitions, this list of 100 seasonal event ideas will help you keep supporters excited and engaged, all year long. 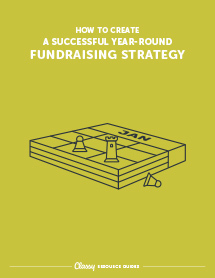 Comb through each season and choose events to fill the gaps in your fundraising strategy and raise more money. We’ve done the work for you. 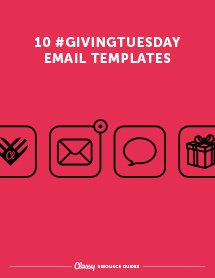 Use these 10 templates to map out your email strategy leading up to the big day. 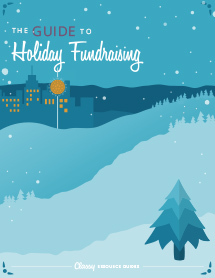 Around 30 percent of annual giving occurs in December. Learn how to manage your year-end appeals and events, and how to incorporate peer-to-peer fundraising to achieve next level holiday results. End of year giving is the most lucrative time for nonprofits, so start thinking about your year-end campaign now! 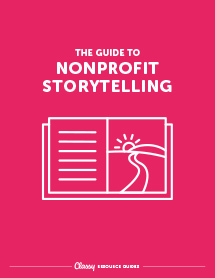 This free checklist will help your team set your campaign focus, goals, timeline, and includes tips on key elements like segmenting your communications and nonprofit storytelling. All nonprofit events share a few common goals: to raise money, increase awareness, and foster relationships with supporters. To achieve these goals, you need an eye-catching and informative campaign page. 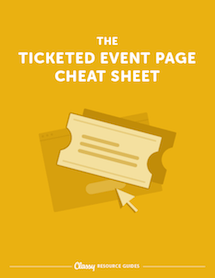 This step-by-step guide will show your team how to create an engaging event page with clean design and optimized conversion points. 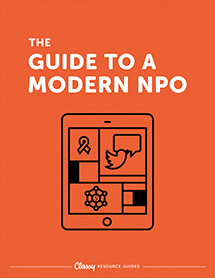 Organizations need to enter the modern age of marketing and fundraising in order to meet donor expectations. 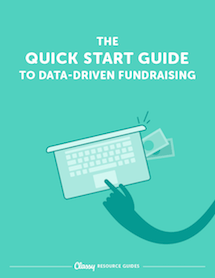 In this guide, learn about the latest fundraising models and the steps you can take to update your brand, online presence, and communication. There’s nothing like powerful storytelling to stir the emotions and encourage giving. Dig into the elements of a good story, different mediums and tools for storytelling, and the inspiration you need to get started. Some of the most successful for-profit companies, such as Zappos, were built around a customer-centric focus. 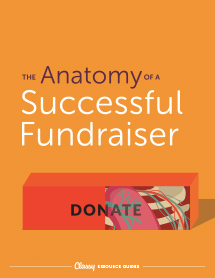 Use this guide to delight your donors and reap similar rewards. 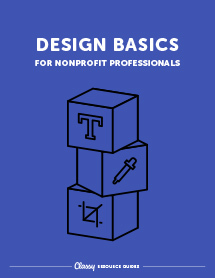 When your entire team understands design basics, it helps protect your unique brand and style. In this guide you’ll learn trends and standards that help you establish brand identity, boost engagement, and more. 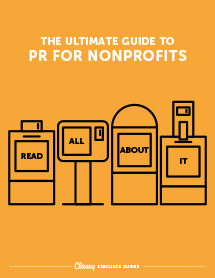 As the PR landscape shifts for nonprofits, you can use this guide to take PR into your own hands and build an effective strategy—either in-house or with an agency—and get your story noticed. 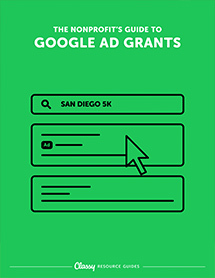 Google offers $10,000 in free advertising to nonprofit organizations. Get everything you need to set up an account and create a campaign, as well as convert traffic into committed support. 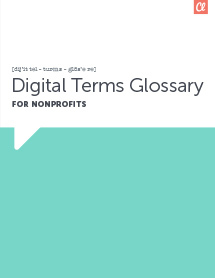 Get the lowdown on over 50 terms specific to digital marketers to ensure you keep pace with the industry. When it comes to social media, your growth and engagement strategies should differ from channel to channel. 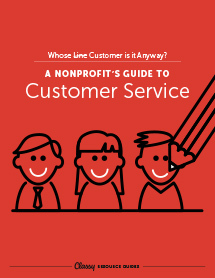 This guide includes key stats and trends that will help you select the right platforms and build communities of support on each one. 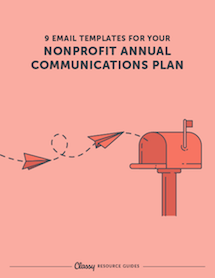 Use the email templates in this guide to engage your donors, raise cause awareness, and build your brand with a holistic communications plan that will balance your appeals with donor delight and appreciation. 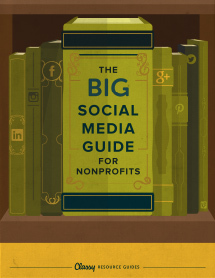 Posting on social media is a great way to promote a nonprofit event. You can share photos, videos, and information with supporters who can easily share with their own networks. Additionally, you can include direct links to register, donate, or purchase tickets. 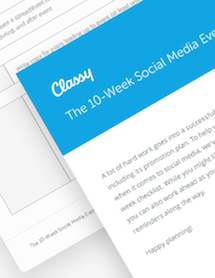 Use this interactive worksheet to learn how to best leverage social media to promote your next event. Gone are the days of the boring, text-filled annual report. Learn how to make the information you share so engaging it moves readers to action. 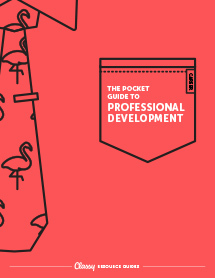 Learn how to create meaningful goals, gain further expertise, and expand your professional network in a way that purposefully drives you forward. Why are so many of the nonprofits tackling the world’s largest problems, subscale? 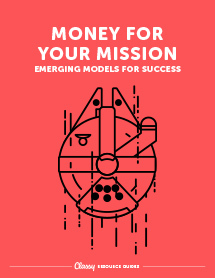 Discover new models of funding that are addressing this issue and allowing social impact organizations to attract investors and achieve greater impact. Leverage the science of organizational behavior in order to motivate your team. 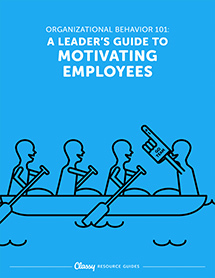 In this guide, you’ll learn about effective team structures and what incentivizes employees to act in certain ways so that you can achieve your collective goals. Get the scoop on the communication, development, and impact metrics your organization shoulder monitor to assess its overall health. Packed with industry benchmarks and helpful tips, this guide will grant insight around your performance and inform your future strategies. 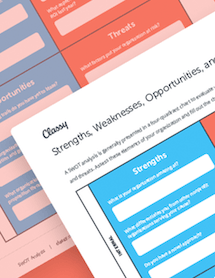 A SWOT analysis is a framework to analyze a business or organization’s strengths, weaknesses, opportunities, and threats. 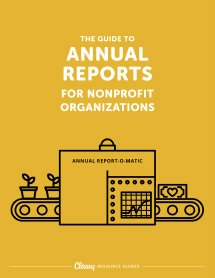 To help your nonprofit create the most efficient fundraising strategy, download the worksheet, discuss the included prompts, and use your findings to plan your annual strategy. 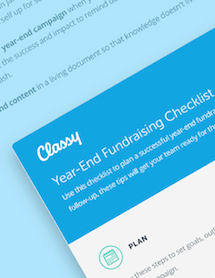 Learn specific strategies for growth from eight nonprofits that saw incredible year-over-year growth on Classy. 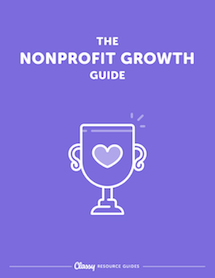 This guide outlines what growth looks like, from setting a goal through measuring its success as well as tangible tips on how your nonprofit can improve and optimize your donation pages, fundraising appeals, and more. Hiring the right people is never easy, but nonprofit professionals can be particularly tricky to track down. 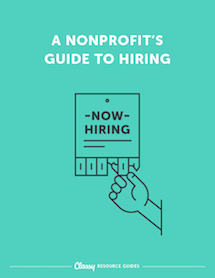 This guide will teach you how to set clear expectations and assign responsibilities to hiring teams, keep your nonprofit moving forward during the process, and how to hire for those critical development positions. It also includes an overview of the interview process and interactive templates and resources to help you secure your next rockstar candidate. 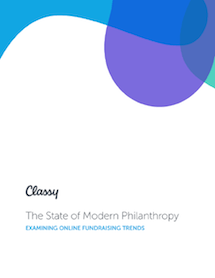 Classy’s team of data scientists created The State of Modern Philanthropy to share online and mobile fundraising trends, donor behavior insights, and Classy platform benchmarks. To learn more about these topics and more, download the report for free below. Why do people donate? What prevents someone from making a donation? 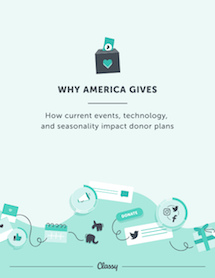 In an effort to answer these tough questions, Classy commissioned a consumer survey on donor motivation and created this must-read report with the results. Download the full report to learn what factors consumers say impact their decision-making process when it comes to charitable giving. 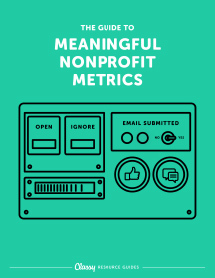 Gathering and analyzing data allows your nonprofit to make solid decisions based on concrete knowledge. Find out which data you should track and how to execute on a data-driven strategy with the information and use cases in this guide. Your annual report demonstrates your impact, progress, and accomplishments to existing donors, corporate partners, and potential supporters. 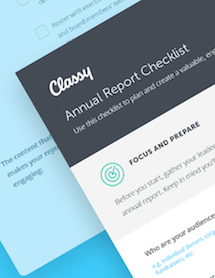 Use this interactive checklist to outline your goals, define your audience, and narrow down your content to create a succinct, impactful annual report. Be sure to check back on this page regularly. 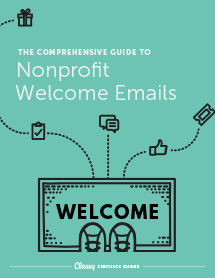 We’ll update it with new content and fan favorites so you stay at the forefront of nonprofit industry knowledge.